I’ve been craving to write about Mumbai since long, since the time I can remember. Mumbai, my city, the city of dreams, the city that has sheltered with love more than 18 million people across all states of India and from different parts of the globe the city that is a source of bread and butter to millions, the city that never sleeps… Mumbai, the capital of Maharashtra and the financial, commercial and entertainment capital and the wealthiest city of India!!! 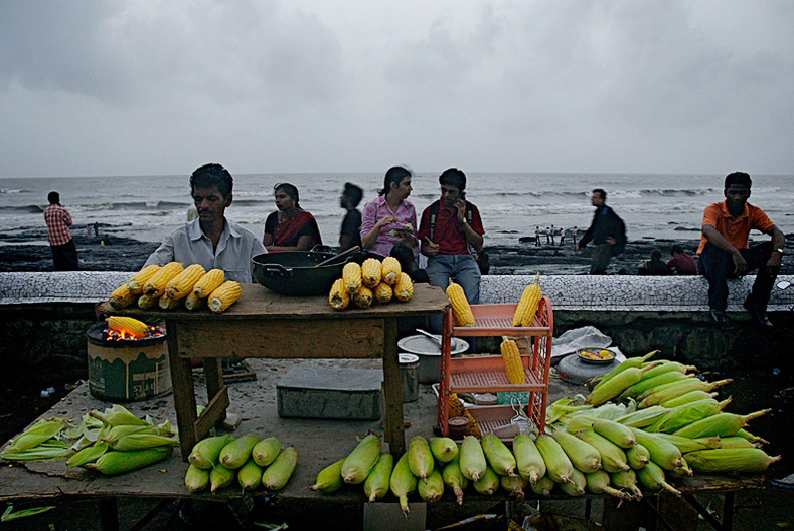 Whenever I talk about Mumbai, I always start with Bandra, a place synonymous with shopping, fort, churches, seafront, promenades, pubs, malls, food and its food-loving people. The name ‘Bandra’ is possibly an adaptation of the Persian (and also Urdu) word ‘bandar’, which means a city; an emporium; a port, harbour; a trading town to which numbers of foreign merchants resort. 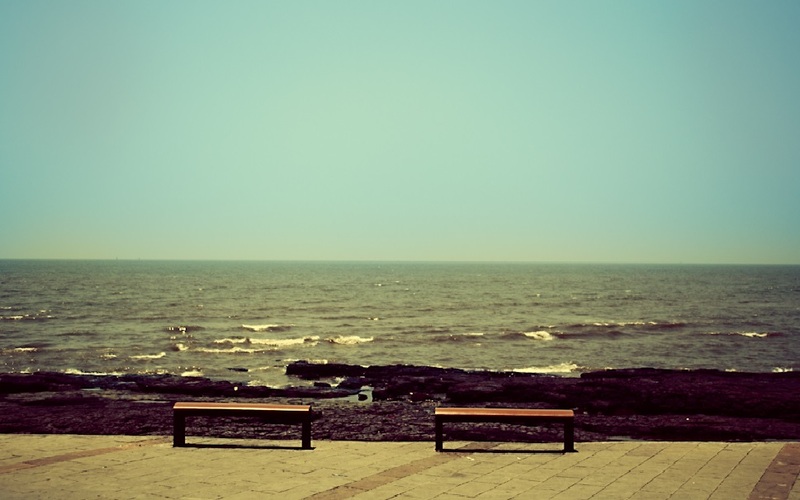 Bandra is known it as “Queen of the Suburbs”. 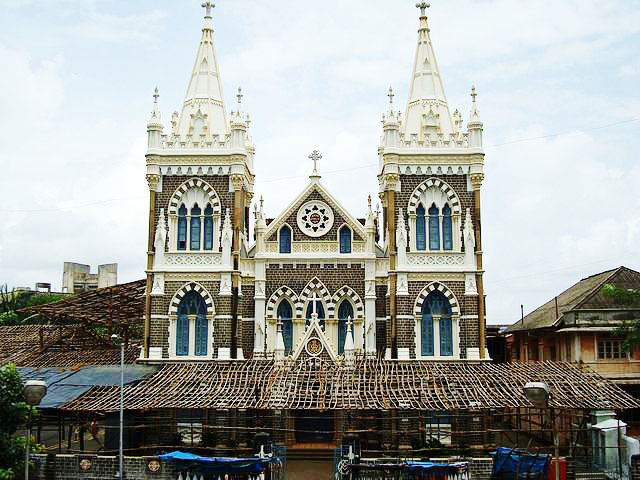 Bandra has a rich history of the British and the Portuguese era. Many of the houses and establishments still shout out their historical existence. There are over 150 crosses at various places. Many crosses were built to ward off the plague epidemic (1896-1906). The oldest is the one relocated in St Andrew’s church compound. Stands 17 ft high and made of a single stone and dates back to 1610. Christians dominate the population here. Bandra is also home to a sizable Hindu, Parsi (Zoroastrians) and Muslim population. Prominent places here are the Bandra Kurla Complex (BKC), Bandra Lake or Bandra Talao, Carter Road, Linking Road, Hill Road, Jogger’s Park, Bandstand and Land’s End. BKC is a commercial hub. Hill Road and Linking Road are a shopper’s paradise. 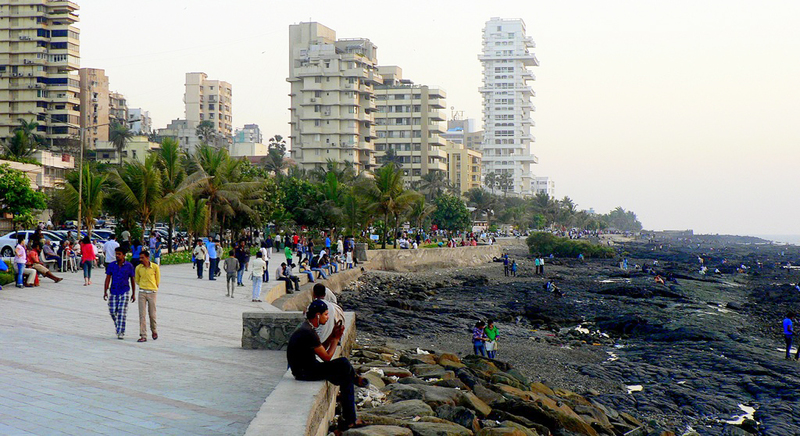 Whereas, Carter Road and Bandstand are seafront with long promenades. 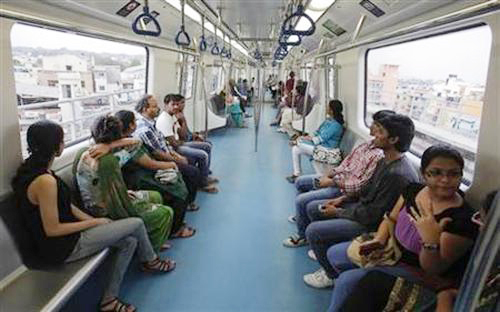 Bandra is well-connected via the Western Railway and the Harbour Line which is an offshoot of the suburban Central Railway. My relationship with Bandra dates back to the earlier 2000s. This was the time when I knew very little of the rest of Mumbai, I knew Bandra in and out. I have a strong emotional connect to Bandstand. This is the place where my love-story flourished. Not just mine, but I’m sure I must be a voice of hundreds of couples out there. Now you know, why I call this place “A Couple’s Paradise”. In the early 2000s, love was in the air… for me. And Bandstand was the only place we knew to be with each other and share our sweet-nothings. It was just the beginning of our individual careers, so affordability of restaurants was a big question mark. In those times, Bandstand was our only saviour. Hail an auto or hop-on a bus and reach our destination within 15 minutes. The long promenade, the sea, the sunset, the breeze… all so very inviting. We used to sit on the promenade watching the sun set and time would just fly off. The couples are scattered all over – the promenade, rocks, in the parked cars, strolling hand in hand or rather, hand-in-waist, hugging, kissing or just sitting there holding each other. We fell in the last bracket. There’s love all round…literally!!! Sweet-nothings are not enough to satisfy your tummy, specially when you’ve travelled miles to be your sweetheart. So when it comes to treating your taste-buds, there’s an array of food items that are dished out. There’s street-food and hawkers who serve smoking hot sandwiches, frankies, roasted corn, juice vendors, etc. 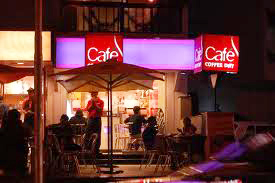 There are cafes like Barrista and Cafe Coffee Day aka CCD, our Indianised answer to the likes of Starbucks and Gloria Jeans. These 2 cafes are next door neighbours. The tables offering an undisturbed view of the sea are reminiscent of my moments here with my favourite Cafe Frappe and the corn and cheese sandwich. Barista boasts of a special corner table which is the hotspot of Bollywood superstar and my heartthrob, Salman Khan. He was and still is my numero uno reason and cause of frequenting Bandra. I’ve always had and still have a small hope in one little corner of my heart, of seeing Salman. My eyes used to always be fixed on the first floor balcony of his Galaxy Apartments. 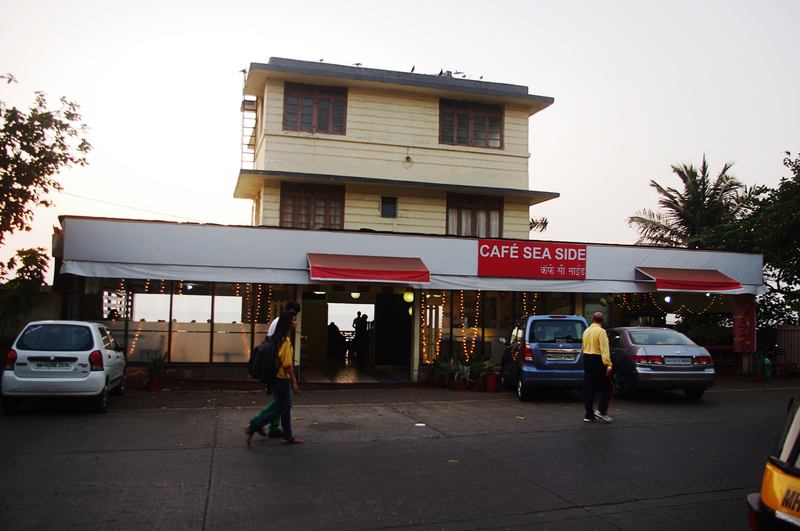 Further down, there is Cafe Sea Side, which is famous for its snacks and meals. Tables near the windows of this cafe are a bliss. 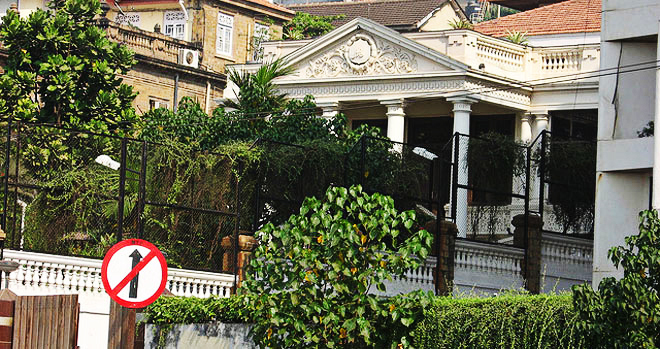 Bandstand is synonymous with “Mannat” a castle-like bungalow of another Bollywood superstar, Shahrukh Khan. People gather in hoards only to catch a glimpse of their Badshah and go berserk when they do get one. Mr. Khan also obliges by standing in his balcony and waving his fans. 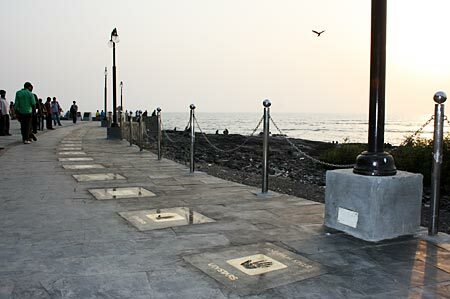 The Walk of the Stars is a section of the promenade honouring Bollywood film stars. 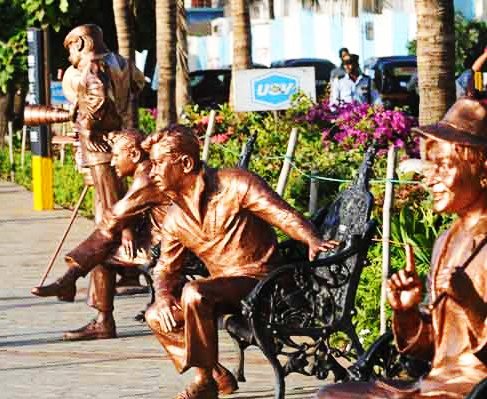 The path features about six statues of famous Bollywood actors. Also there are about 100 brass plates embossed with the handprints and signatures of other stars. The walk was inspired by the Hollywood Walk of Fame. 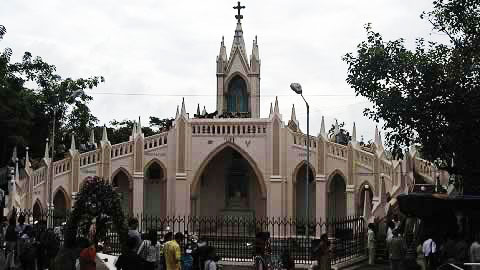 The Basilica of Our Lady of the Mount, more commonly known as Mount Mary Church, is a Roman Catholic Basilica situated in this area. The feast of the Blessed Virgin Mary is celebrated here on the first Sunday after 8 September, the birthday of the Virgin Mary. The feast is followed by a week long celebration known locally as the Bandra Fair and is visited by thousands of people of all faiths. Castella de Aguada, also known as the Bandra Fort, is located at the Land’s End which is the extreme point of Bandstand. 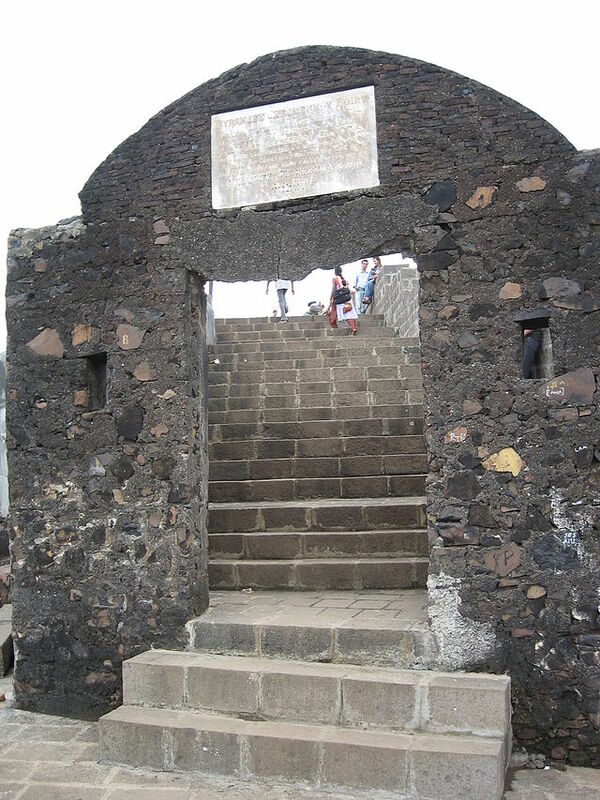 It was built by the Portuguese in 1640 as a watchtower overlooking the Mahim Bay, the Arabian Sea and the southern island of Mahim. The iconic Taj Land’s End is a luxury hotel standing tall offering a breathtaking sight and is a crown to the Land’s End area. 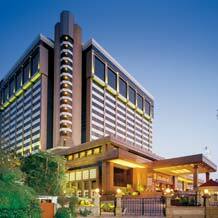 It has been playing host to hoards of celebrities, dignitaries and the royals. Bandstand has a lot to offer everyone…from children to the aged, from loaded purses to the empty ones, from singles to couples and families. When I speak about Bandstand, I speak my heart out. I have experienced every bit of it. Its nostalgia, its a different feeling altogether. Come summers and I await the arrival of the king of fruits – The Alphonso Mango. When I say Alphonso, I mean the authentic Alphonso with that saffrony juicy flesh and that particular thin skin… This fruit definitely has something about it. A king has its own aura and so does the Alphonso . Aura is directly proportional to price here. Thus, I set sail in search of the best possible place where I could find my King, but at a rate that wouldn’t pinch my pockets. And my search took me to APMC Market in Vashi, Navi Mumbai. There it was, my King… in its multiplications… This is the place of wholesalers who deal in veggies, fruits, all kinds of groceries, masalas, dry-fruits, etc. The market starts as early as 2 am. There’s a huge hustle-bustle around with the retailers and others bargaining for the best possible rate. Taking home 5 dozens at a go made my hour-long drive worthwhile. Yeah, it dint even pinch my pocket!